First Time Mama - First Time Blogger: Fall's here - How do I know? This is how I know fall is here. We had to turn the heat on. Julianna is wearing her fleece PJs to stay toasty at night. Flannel Sheets are on the bed. Baked Apple Pie aroma is in the air wherever you go. Oh and - cider donuts. Totally fall. The leaves are starting to change in NJ. We aren't close to peak, but soon we will be. 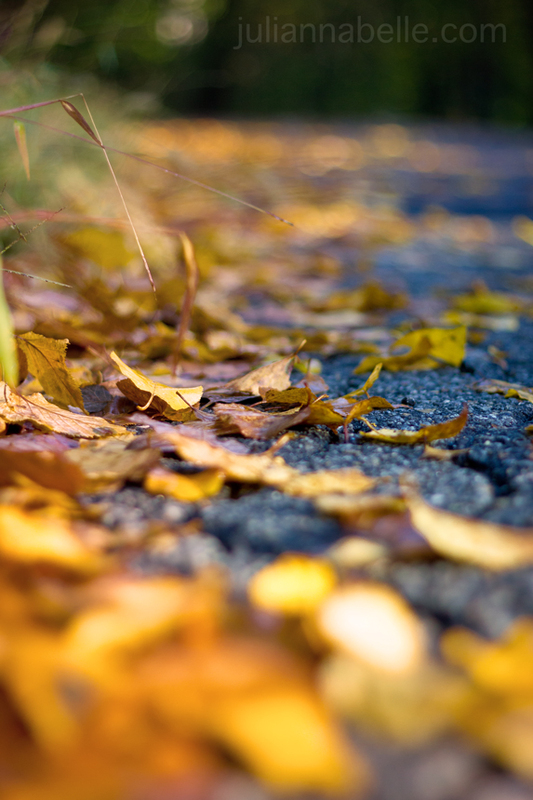 Leaves are falling from the trees and covering the roads. 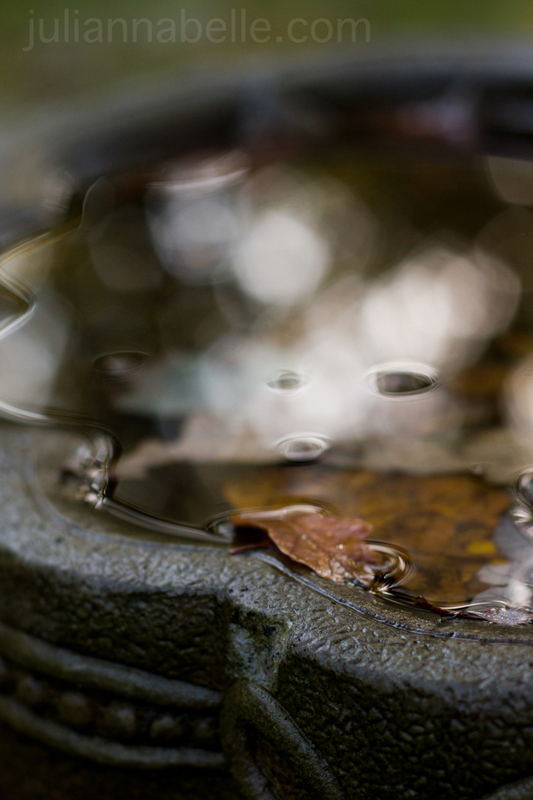 Leaves are collecting in the bird bath after the fall rain. Pepper is snuggled up in the covers all day. She likes heat - she doesn't often get out of bed this time of year. Too cold for her. And yes, who can forget pumpkin picking. It's definitely that time. Yep its here!! beautiful pictures. Enjoy! 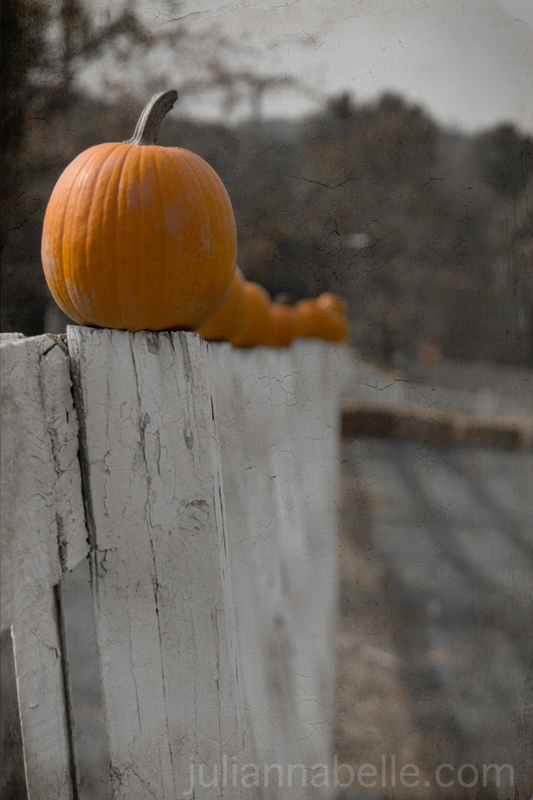 Specially love the fence lined with pumpkins, adorable! thanks kelly - These were fun to take - I hope to get more this weekend with the nice weather we are expecting. I love the colour splash of the pumpkin image and I don't blame Pepper at all... I would be exactly the same if I could get away with it. thank you! 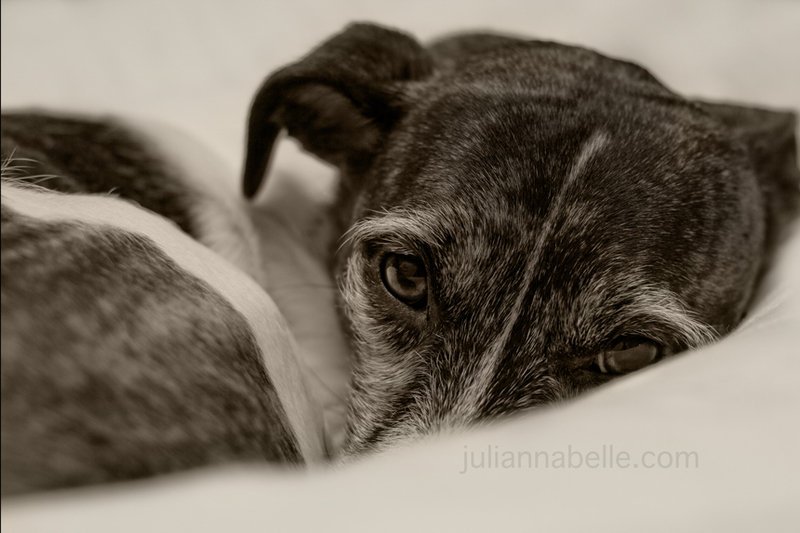 I wish I was snuggled up with pepper today on this cold and rainy day here !! haha! Fall is in South Dakota too! We even had flurries most of yesterday morning. Can't beat snuggling up with your dog on a cold night. I really like the B&W. Love the last picture. Neat find and edit! 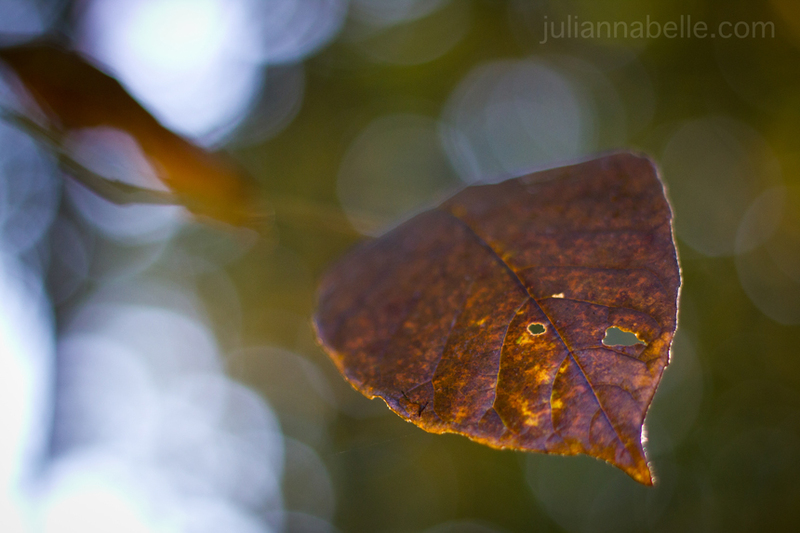 Oh what beautiful bokeh you captured in this. Lovely job! So pretty, I love the shallow DOF in the second photo and the gorgeous colours. Thanks so much for taking part in the Nurture Photography Photo Challenge!